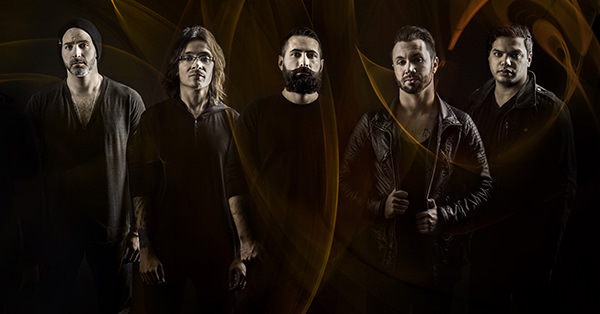 It's no secret that progressive metal/metalcore band Periphery has been working on material their next album for at least six months now. It looks as though the musicians have now finally begun committing the new songs to tape (well, hard drive), with guitar tracking apparently commencing a day ago (see below). "Periphery 4 has actually been pretty much written for a while now. We are just spice racking and tweaking stuff before we record everything for real. It's been nice to be able to really take our time with an album and absorb it before committing to it. I hope you guys enjoy it, but if you don't, that's totally fine. I'm super proud of it and so far it's been an absolute blast to work on." The new album is expected to surface in early 2019 through the band's recently-launched label, 3DOT Recordings.